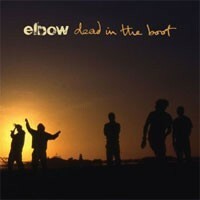 Elbow finally release the long awaited b-sides album: 'Dead In The Boot' which brings together b-sides and hard to find non-album tracks from the band's lengthy recording career. The release tells an alternative elbow story beginning with the early years, with tracks like 'None One' from the original 'Newborn' EP in 2000, right up to 'Buffalo Ghosts' from last April's 'Open Arms'. Andy says: Our humble heroes show what great songwriters they are, with a B-sides collection that would wipe the floor with most bands' A-sides.